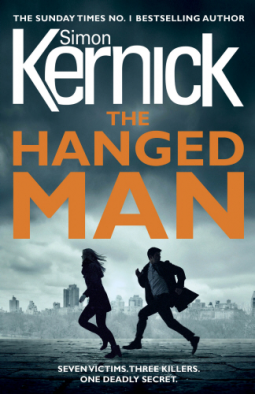 I’ve read nearly every book from Simon Kernick, so when I saw this book, I knew what I was in for. I didn’t know this book was part of a series when I started reading the book, but I have read books with the characters in previously and I have read some of his previous books out of order, so some parts of the book didn’t make sense, but there is enough of the story there to make the plot make sense and it is explained well. DI Ray Mason is working with the police force on a case referred to as The Bone Field case, he’s not a very well respected member of the forced because of the methods he uses, but he produces results. PI Tina Boyd works alongside him outside of the force and is his partner. In the previous books, Tina is like a broken woman, so seeing her now in a relationship was very different! The story keeps you guessing and hooked to find out how Ray and Tina will work together to find out the killers as the killers have both made appearances in their pasts trying to kill them as well. There are many characters in the book and they are all woven into the story well, the ending of the book wasn’t how I expected it to end and left me wanting more! I am guessing that there will be another part to the series because of how the book ended. A must read if you’re a fan of thrillers and this author!